After publishing my most recent Ikea hack I realized I have quite a few IKEA hacks here on the ol’ blog. 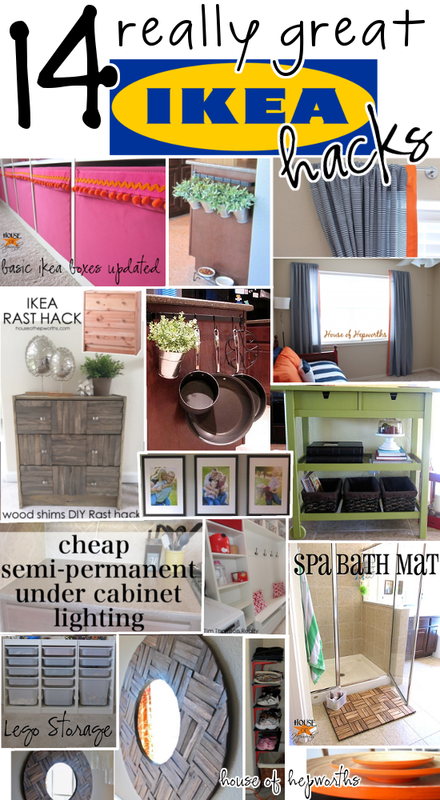 Check out some of the amazing things you can do with cheap IKEA products, some elbow grease, and lots of creativity! *This HOH roundup includes hacks only. If I included every post with an IKEA product in it I may as well repost my entire blog! ha! 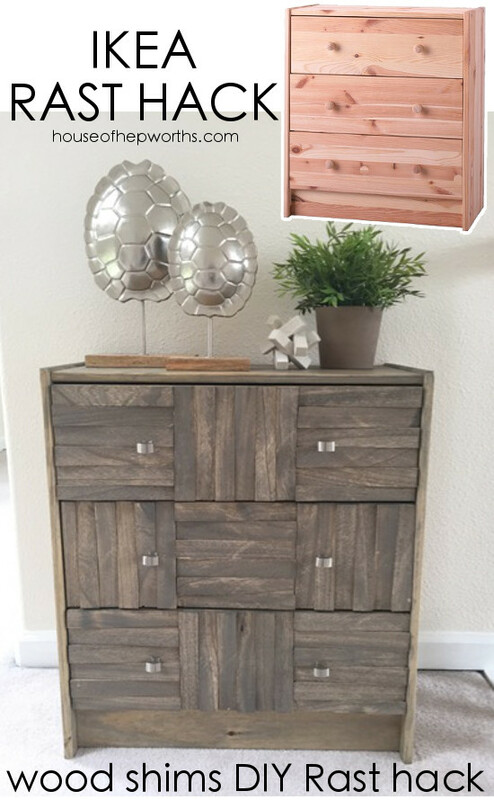 Use an IKEA Rast dresser and some shims to create this beauty! 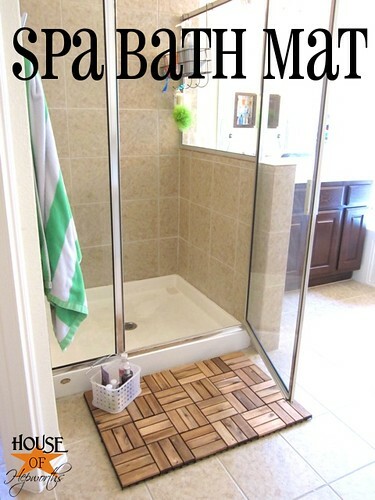 Use an IKEA Runnen Outdoor Decking for an amazing bath mat. 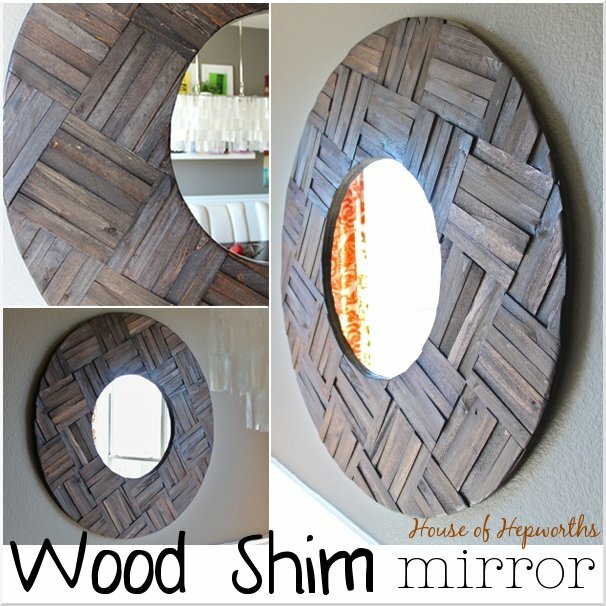 Use Kolja mirror, a piece of MDF, and a few packages of wood shims to DIY your own knockout show-stopping mirror. 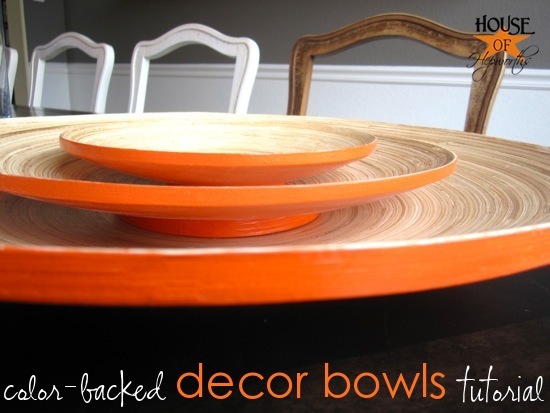 Use Hultet decor bowls and add paint to the back of them for an eye-catching look. Use a kitchen Bygel Rail as a curtain rod. 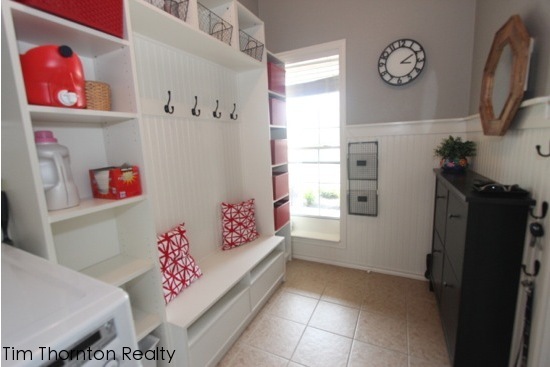 Use Billy bookshelves, Benno entertainment center, and Hemnes shoe organizer for a built-in mud room. 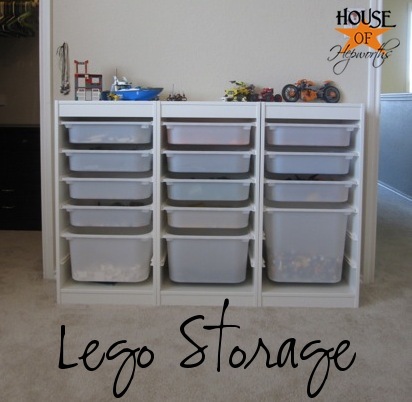 Use Trofast to organize and store all your bricks. 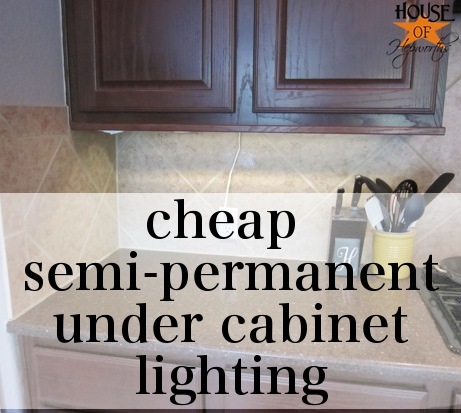 Use Ledberg lights for bright white under-cabinet lighting. 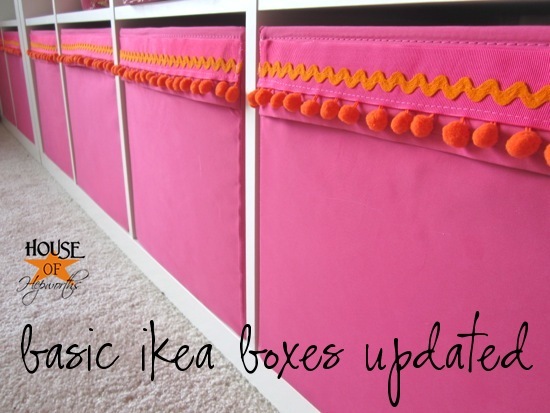 Update Drona Boxes with ribbon and fringe for your Expedit. 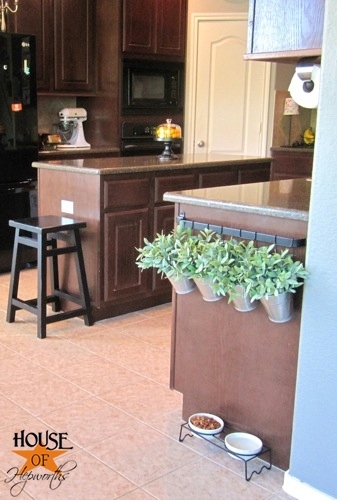 Use a kitchen Kroken Rail to make a hanging planter. 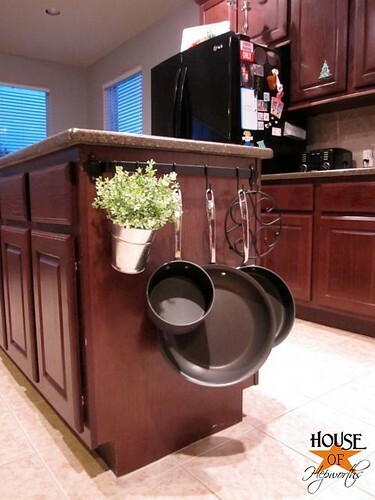 Use a kitchen Kroken Rail to hang pots and pans on. 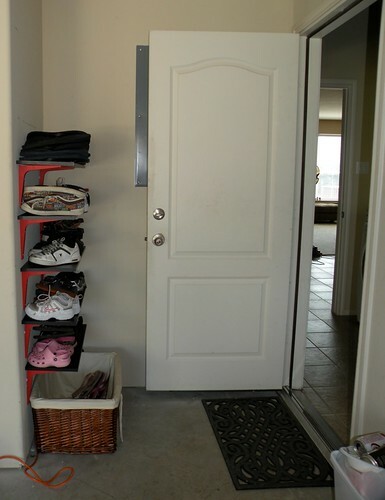 Use Ekby Stodis brackets Ekby Laiva shelves to create organized storage for your shoes. 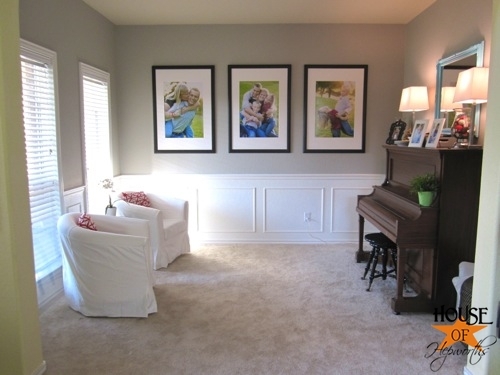 Use Ribba frames and jumbo photo prints for a show-stopping wall gallery. 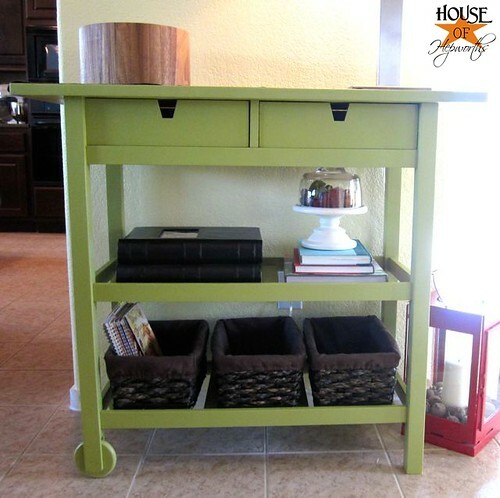 Use Forhoja Kitchen Cart and some spray paint to create the perfect entry way table. Do you have any awesome Ikea hacks you’re proud of? I’d LOVE to see them, and possibly feature them in an upcoming post! Leave a link to your cool project in the comments below. Ours is an hour away now, and I was complaining to Ben about it the other day, and he reminded me that many people don’t have one at all and to be grateful. I am grateful! How clever! Especially like the Rast dresser and Kolja mirror. Awesome projects!